Here is Karadayan Nonbu Savory Adai or Kozhukattai (Steamed Savory Cake) prepared during Karadayan Nonbu or Savithri Viradam. 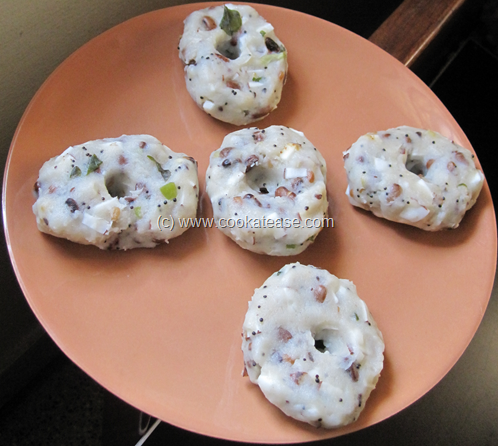 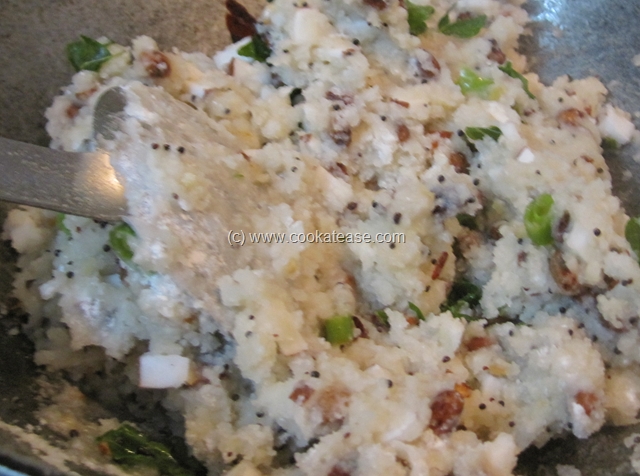 This is prepared in combination with Karadayan Nonbu Sweet Adai or Kozhukattai and served with butter. 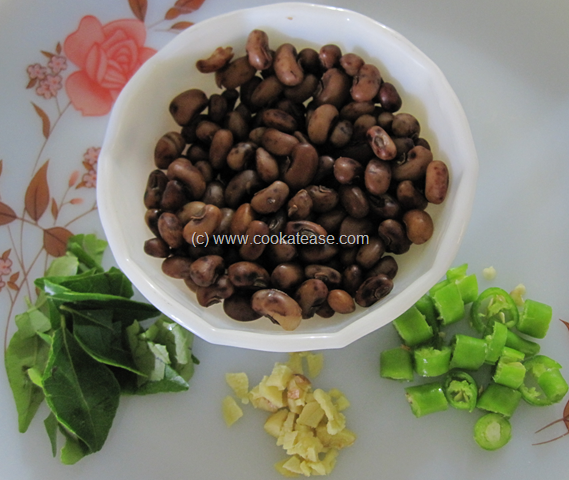 I used red variety of cowpeas and rice flour to prepare this dish. 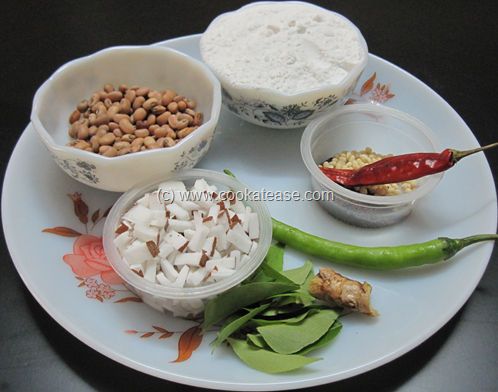 Rice flour is prepared by powdering washed, soaked and then dried rice. (Rice flour is also available in the grocery shops). 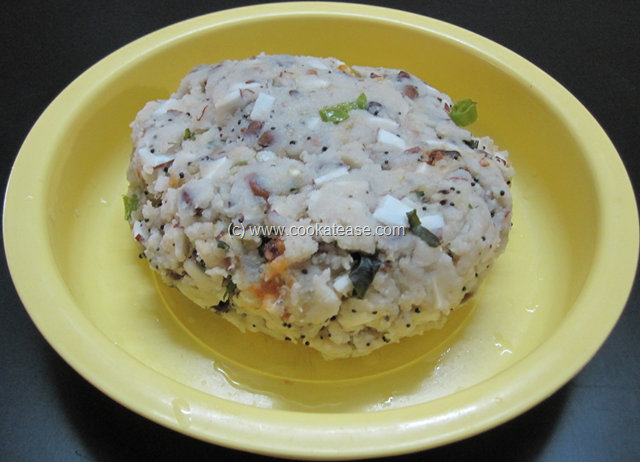 This is a healthy snack as it is steamed and I prepare occasionally as evening snack. 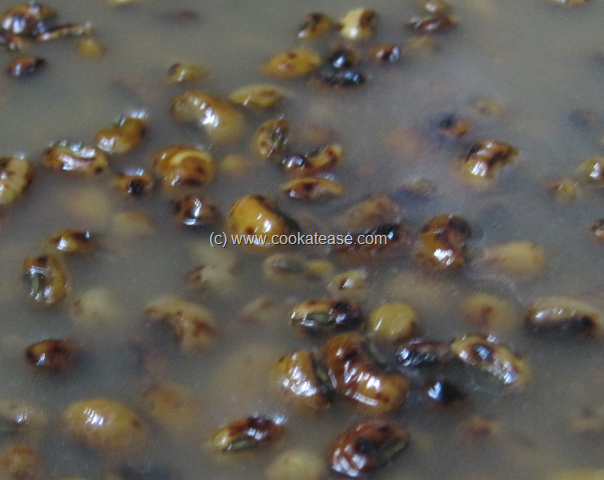 Cowpeas are known as Thattai Payaru or Karamani in Tamil and as Lobia in Hindi. 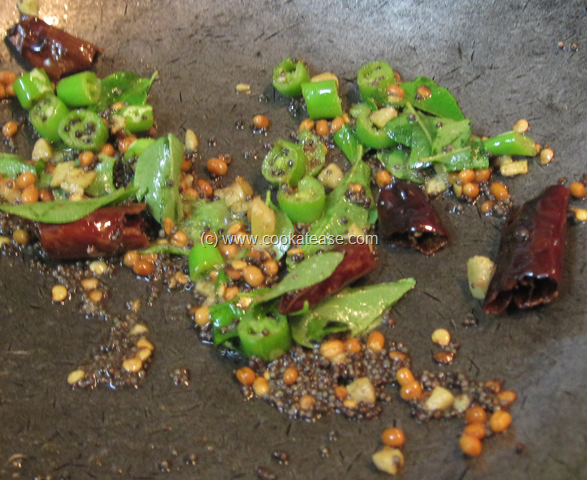 Dry roast cowpeas, boil and drain; chop ginger, green chilli and curry leaves. 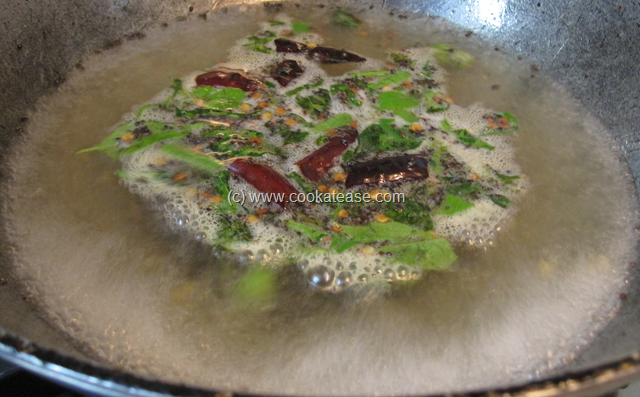 Slightly fry the flour in a dry pan; do the seasoning in a pan; add chopped green chilli, ginger, curry leaves and fry for few seconds. 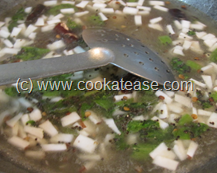 Add 2 cups of water and salt; when water is boiling, add cowpeas and coconut. 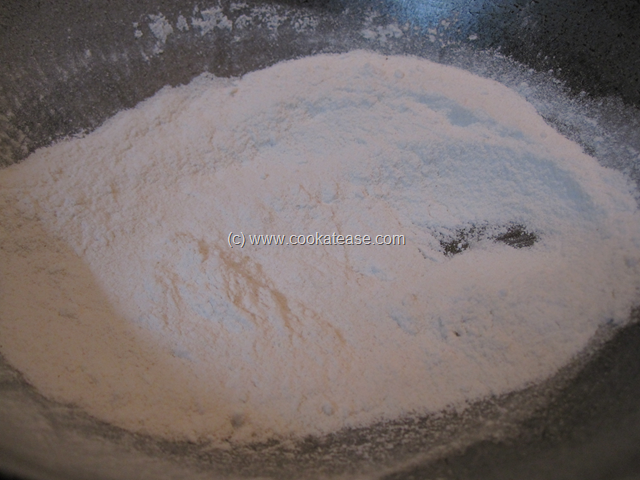 Then add slowly rice flour and continuously stir to form as dough. Cool and with wet or oiled hand, take some dough and make ¼ to ½ inch thick adai (disc) with a hole in the centre (I shaped it like vadai); repeat it for remaining dough also and steam cook for 6 to 8 minutes. 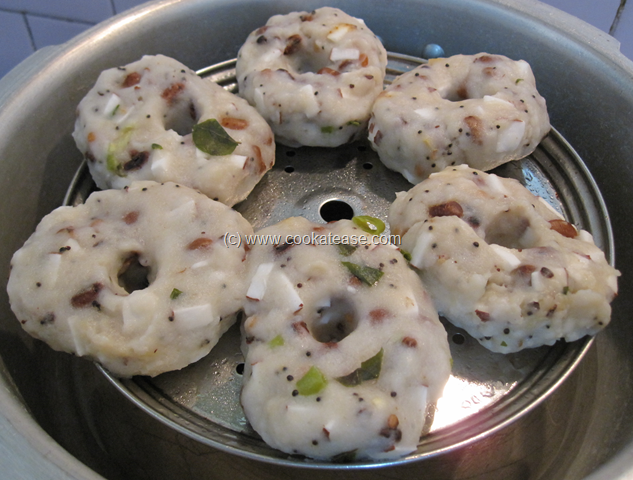 Karadayan Nonbu Savory Adai or Kozhukattai is ready. 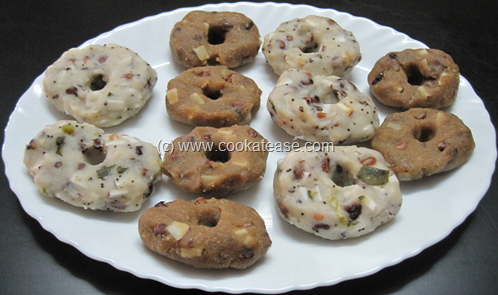 Serve Karadayan Nonbu Savory Adai in combination with Karadayan Nonbu Sweet Adai with butter. Do not boil cowpeas too soft in the initial stage as it is going to be boiled again and steam cooked in next stages. 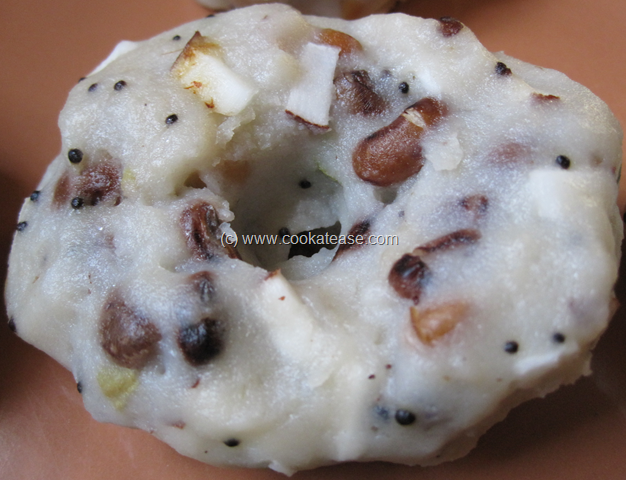 Looks really yummy.. frist time here. you have a wonderful site & great recipes.. keep it up..
thank u for the very wonderful recipe. i loved it. 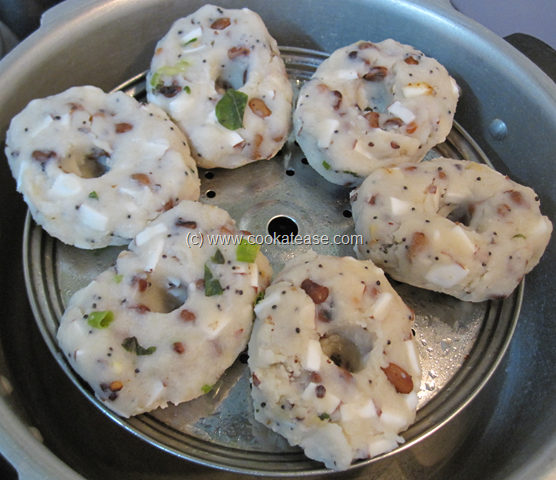 i will try at my home. 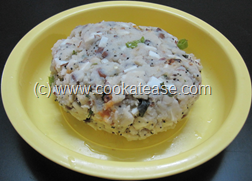 today’s tiffin item is this adai only. 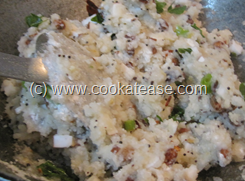 I have a special kid who needs a special diet with only rice items and this recipe is perfect for an evening tiffin or even breakfast…would love it if you can suggest more recipes with rice, excluding wheat, milk, rava, etc…thank you in advance.